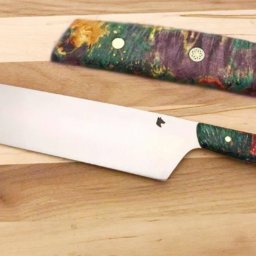 The following video is of Two Damascus orders needing filled: Full tang Chef, and Slicer for separate clients. 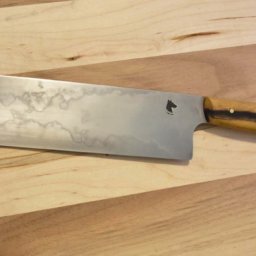 The damascus was made by local bladesmith friend Mark Green and myself. The starting stock is much thicker and wider than needed, much of the video is spent thinning and stretching. Enjoy!